Hassan N'Dam of France (L) and Ryota Murata of Japan exchange blows during the 10th round of their WBA middleweight title bout in Tokyo, on May 20, 2017. TOKYO - Japan's Ryota Murata has promised there will be no more Mr Nice Guy as he prepares for his world middleweight title rematch against Frenchman Hassan N'Dam this weekend. The World Boxing Association (WBA) suspended two judges for six months and ordered a second fight after N'Dam claimed the vacant belt on a controversial split decision in May. Murata largely dominated the Tokyo fight, inflicting heavy punishment on his opponent and flooring him with a right hook in the fourth round. "There won't be any smiling in the build-up like last time," the challenger told local media. "I'm totally focused on the fight." Murata, the 2012 Olympic gold medallist, has stepped up an unusual training technique to ensure victory in Sunday's grudge match in the Japanese capital -- eye workouts. "It helps with the mental side too," said Murata, who uses machines with flashing lights to improve his optical reflexes and claims his vision has improved markedly since turning to the appliance of science two years ago. "You have to be relaxed. If you're trying too hard it shows between your eyes," he added, ramping up the mind games as he bids to become Japan's second middleweight world champion, and first in 22 years. "People's tell-tale emotions show on the face. You can tell if they're in a good or bad state of mind." Murata has added incentive to avenge his first loss in 13 professional fights after what the president of his Teiken Gym, Akihiko Honda, slammed as "the worst judging decision I have ever seen". But N'Dam, who improved his record to 36-2, will know what to expect this time. 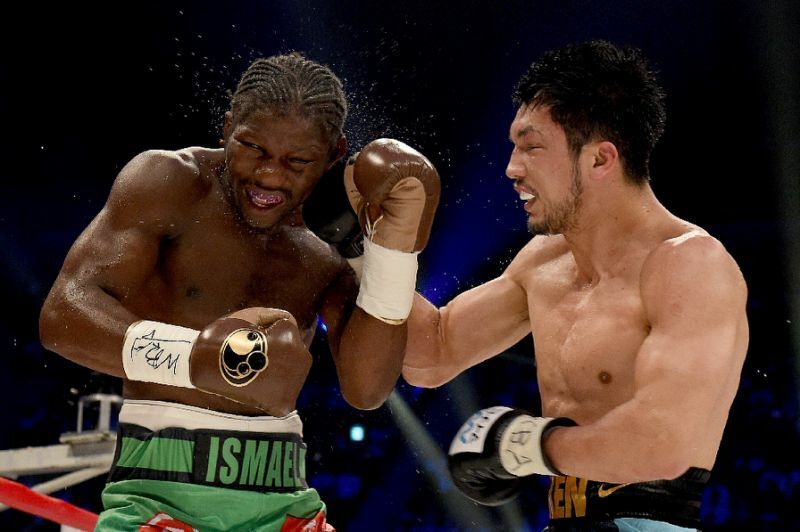 "I'm 1,000 percent confident of beating Murata again," declared the Cameroon-born champion. "I got knocked down last time but Murata won't touch me this time. He won't get near me." Despite his air of confidence, N'Dam looked as bemused as anyone when he was awarded the first fight, sinking to his knees when the scores were announced as boos rang out from the Japanese fans. WBA president Gilberto Mendoza tweeted an apology to Murata, adding: "There are no words to repair the damage." Japan's Ryota Murata has promised there will be no more Mr Nice Guy as he prepares for his world middleweight title rematch against Frenchman Hassan N'Dam this weekend. The World Boxing Association (WBA) suspended two judges for six months and ordered a second fight after N'Dam claimed the vacant belt on a controversial split decision in May.